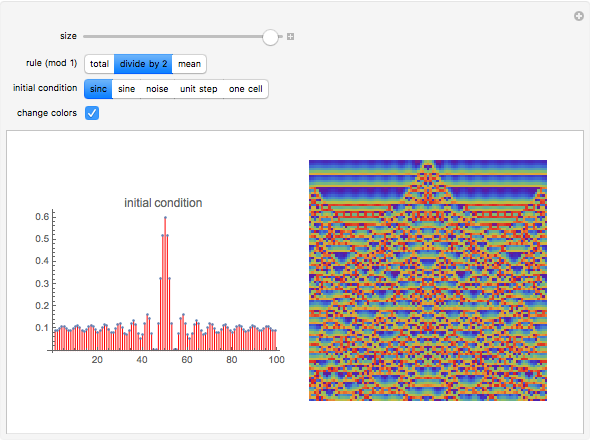 The colors of cells in continuous cellular automata are grayscale, with values ranging from 0 to 1. 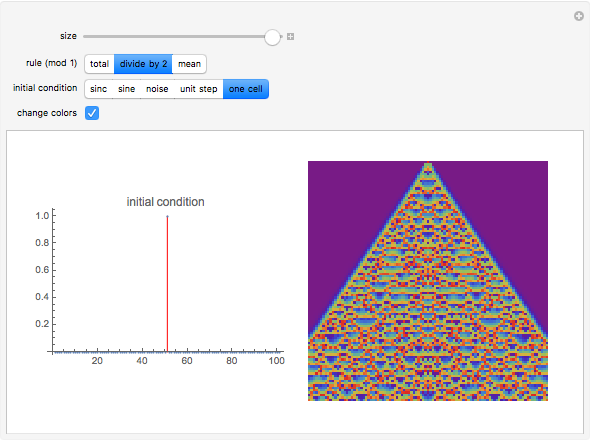 This is analogous to totalistic cellular automata, in which the cells are calculated as a sum of 3 cells (for ). This Demonstration shows 3 different rules: total, mean, and division by 2, with the integer part suppressed. It is possible to use values from mathematical functions or numerical sequences as initial conditions. Daniel de Souza Carvalho "Continuous Cellular Automaton with Math Rules I"